It was quite late when the ship reached to Rathedaung. It was around 2:30 pm reached and left Rathedaung around 3:00 pm. 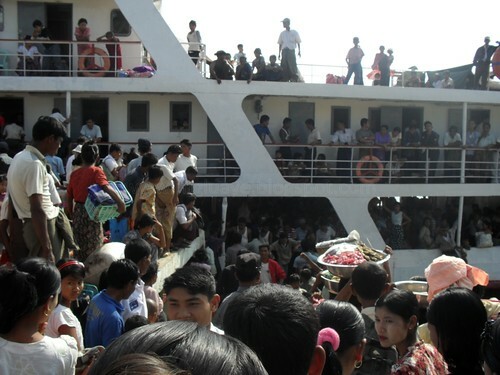 It was not in good mode to take photo because it was too crowded on the ship and we knew that we would be reaching Akyab very late. 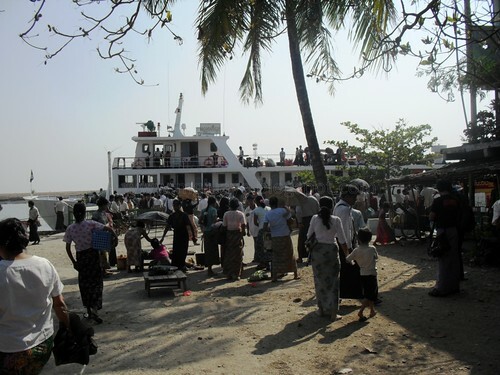 Rathedaung Jetty was crowded as always and the ship also. As of late evening, there were a few snack sellers on the jetty and ship also going to depart the jetty soon. Good Bye Rathedaung. One song was flown through into my mind, that was "leaving on a jet plane" sung by John Denver. But, I am not on a jet plane, I am just on a crowded ship, I also really do not know "I'll be back again" there. The below one was the location of old jetty. 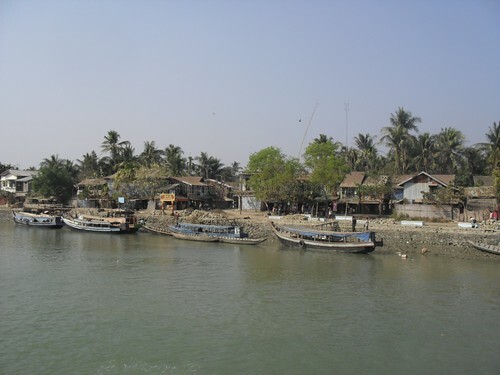 Jetty was there in past few decades and moved to the present location since 3-4 years ago. 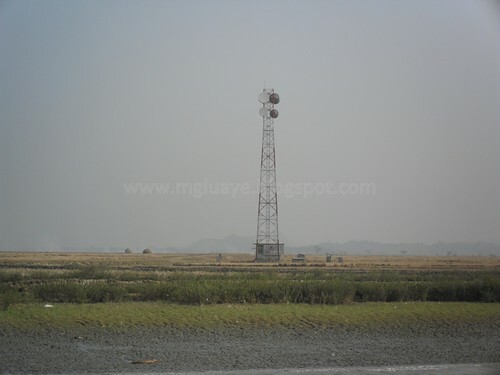 The telecom tower on the bank of opposite Rathedaung. 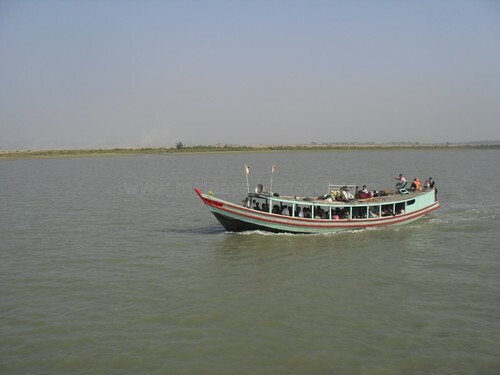 One of the local pilgrimage tour boats passing by, it supposed to go to Footprint of Buddha at Mozee island. 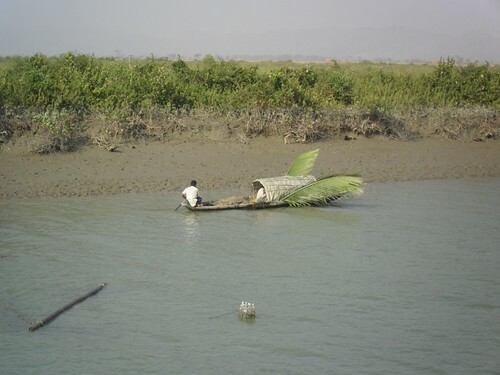 One of the boat we have seen on the way to Akyab. rather more consideration. I’ll most likely be again to learn way more, thanks for that info. useful and it has helped me out loads. I hope to contribute & help other users like its helped me. Great job. exciting moments reading here. Thank you once again for all the details.